Her hugot-filled music and standout voice catapulted her to the Spotify elite. 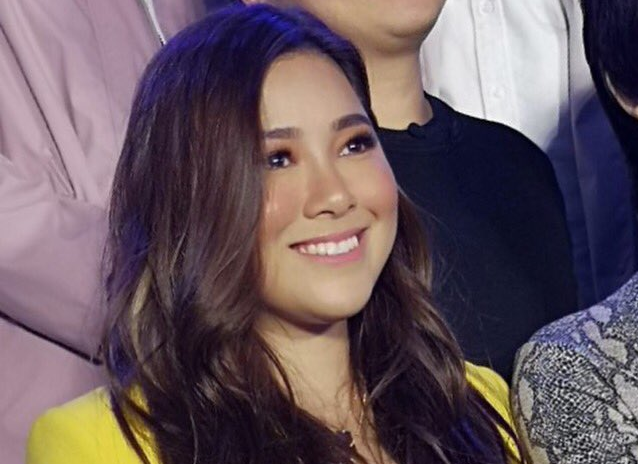 Before ringing in the year by tying the knot with her equally-talented beau Jason Hernandez last January 14, OPM sensation Moira Dela Torre ended 2018 in a high note when she made it to the three toplists of Spotify Wrapped last year. Her hugot-filled and inspirational songs and her soft and soul-wrenching voice totally have kept a deluge of Filipino Spotify users tuned in to her music. This catapulted her to becoming the Most Streamed Local Artist, besting Pinoy bands December Avenue, Ben&Ben, Parokya ni Edgar, and IV of Spades, and the Most Streamed Female Artist in the Philippines, defeating global pop superstars Ariana Grande, Dua Lipa, Taylor Swift, and Camila Cabello. Besides, her hit "Tagpuan" also ranked 4th among the Most Streamed Songs, joining IV of Spades' "Mundo", Ben&Ben's "Kathang Isip", Dua Lipa's "IDGAF", and Grey, Zedd, and Maren Morris'"The Middle". Thus, during the media launch of Spotify's newest campaign, Spotify Jams: OPM Love Songs, held last January 31, One Music PH asked the 25-year-old singer-songwriter about how she feels towards the aforementioned recognitions. "It’s something I don’t think will ever sink in with me. I’m just very honored to be here and I was very honored to be part of the Spotify family and to be part of OPM, whatever rank I’m in," she stated. She went on to emphasize that although it makes her feel honored and great, it's not actually important for her if she's part of the list or not, because for her, her music is merely an expression and output of hers. Besides, no matter what, it's still OPM. "I’m just happy and honoured to be able to represent OPM where I see that ‘hey, my kababayans are choosing to listen their fellow kababayan’, so it’s an honor," the Star Music artist added. The campaign, Spotify Jams: OPM Love Songs, is designed specifically for Pinoy music lovers as it features today’s top artists' refreshing renditions of some of the biggest OPM love songs of the past. IV of Spades, Ben&Ben, juan karlos, Moira Dela Torre, Sarah Geronimo, and Silent Sanctuary were given the opportunity to cover their favorite OPM love song, according to how they interpret their chosen throwback track. Brace yourselves as Moira is about to strike our hearts anew with another soulful cover which you can stream on Spotify OPM's flagship playlist "Tatak Pinoy" beginning February 8.